Discos en vinilo y CD de Rain & Shine. 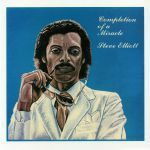 Review: Originally released in 1992, Completion Of A Miracle was American R&B and gospel musician Steve Elliott's second LP. New Zealand-based reissue imprint Rain & Shine continue their love for Elliott's self-produced music by giving the album another lease of life. Remastered from the original reel-to-reel tapes, it includes the dancefloor cut "Wake Up". Another essential release set to become a future collector's item. Rain & Shine was established in Auckland, New Zealand in 2017 and only pursues music previously unreleased or never re-issued, and when certain that artists or their families can be directly involved to benefit financially. 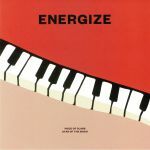 Review: Astonishingly, original copies of Energize's 1979 private press single "Piece of Class" have changed hands for over 500 quid online. Helpfully, Rain & Shine have decided to save us all a few bob by slinging out this licensed reissue. The title track is something of a bustling disco-funk gem - a genuinely wonderful fusion of hazy vocals, dueling horn solos, spacey synthesizer flourishes and driving bass guitar. B-side "Star of the Disco" is an even more up-tempo affair, with mazy saxophone solos, rasping horn stabs and starry jazz-funk keys riding a walking bassline and high-octane disco drums. 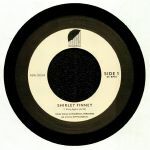 Review: Shirley Finney's 1979 debut album "Pray Again" has recently become something of a sought-after set amongst collectors of disco-era gospel soul. Original copies of the LP are expensive and hard to come by, so Rain & Shine has decided to stick two of the set's most admired tracks on one 7-inch single. "Pray Again" is rather wonderful, with Finney delivering a strong, heartfelt vocal above a backing track rich in sustained organ chords, jangling pianos and clipped guitars. 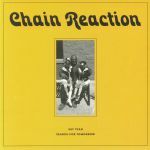 "Give Your Best To The Master", meanwhile, is a more up-tempo and stomping gospel-disco affair that benefits greatly from some stellar choral backing vocals. It sounds like the sort of thing that Tony Humphries may have championed at Zanzibar in New Jersey back in the day. Review: ** REPRESS ALERT ** Auckland based retroverts Rain & Shine made an early decision to give all profits back to the artists who appear on their label. Put simply, they thought it would be a nice thing to do - and we concur. It's an official re-release here of Washington D.C. based outfit The Nelson Family's one and only LP from 1986. 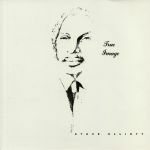 Comprised of Charisse, Charlene, Paul and their mother, this is a gospel record with super production that features top tracks including "Thank You, Lord" (a firm favorite of Floating Points and Skymark), "Filled With His Spirit" and "Everlasting Love". Charisse would later go on to create the Stellar Award winning/Grammy nominated choral ensemble named Vision, and is still active in the D.C. area as a gospel singer.